I've been a proud owner of an iPhone for quite a while now, and I use it all the time. Sure, I waste plenty of time on it between apps like Facebook, Twitter, Pinterest, Instagram, but there are a lot of really good apps on there too. When I talk about these apps, usually no one has heard of them. But dare I say, some of these apps are actually life changing! I hope you check them out, and let me know what you think! "The Five Minute Journal is your secret weapon to focus on the good in your life, become more mindful, and live with intention. With a simple structured format based on positive psychology research, you will start and end each day with gratitude. Side effects may include: increased happiness, better relationships, and becoming more optimistic." I am a big fan of the You Tuber Mimi Ikonn. Her and her husband are some of the most positive people. 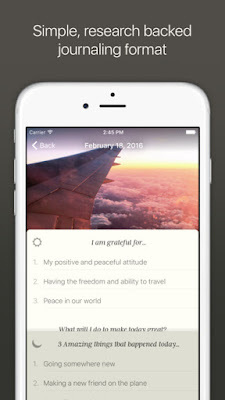 They created the 5 Minute Journal, and I'm so in love with it! You can buy a hard copy, or download their app. I wish I was better, but I am really bad about sitting down and writing in a journal, so for me, the app is perfect. Each morning you write what you are grateful for and ask what you will do to make the day great. At the end of the day, it asks how your day went, and what you could have done to make the day better. 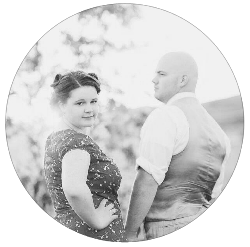 I love that the app also allows you to add a photo. It's a great way to reflect, find things to be grateful for, and look toward improving each day. 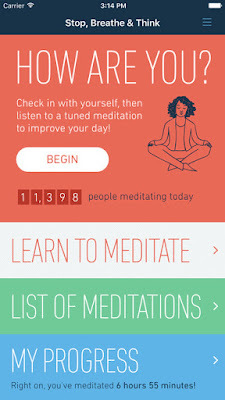 "The Stop, Breathe and Think app is a free mindfulness, meditation and compassion-building tool that is simple, fun and easy to use. Check in to how you are thinking and feeling, and select emotions that guide you to recommended meditations. " I think it was Dave who introduced me to this app. 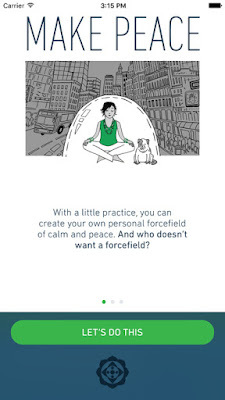 It walks you through 4-10 minute meditation sessions, catered to your emotions and how you are feeling that day. In both the morning and the evening I pray and read my scriptures, but I have found that this app helps me take a moment to recharge halfway through the day. At times, I wonder how much it helps, and if it is just in my head, and maybe it is just in my head, taking a moment each day to reflect, and channel my thoughts and feelings towards peace and positivity. But it works. (And there's lots of scientific research to prove of it's benefits.) I only wish it was the voice of Don Draper talking my through the mediation, but still, I can't complain. 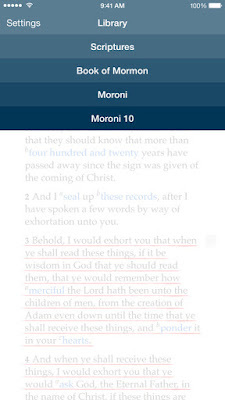 Speaking of scripture study, another app I use daily is the LDS Gospel Library. It is exactly what it says it is; a library. 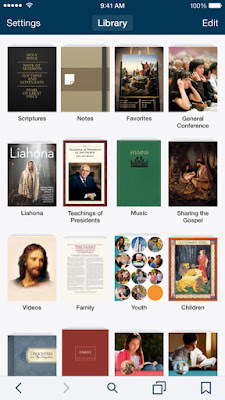 You can access just about everything via this app, scriptures, church magazines, lesson manuals, hymns, general conference talks, and much more. It's amazing how much rich information can be packed into a tiny handheld device. Can you imagine how much space all of that would take up if I had hard copies of it all instead? Lots of times, you can't beat the feel and smell of a physical book, but there would be no possible way to carry as much information that is contained in that app around with me in my pocket. You can even access conference talks all the way back to 1971! That's a lot of conference talks! I love being able to just pull out my phone anytime, anywhere, and read a talk, or lesson, or scriptures. It helps me incorporate continued study, throughout my day, so easily. Okay, I don’t know how much this app actually helps my productivity, but if you take a lot of photos or videos with your phone, backing them up is vital, and from what I’ve have found so far, this is the best way to do that, and a huge bonus being completely free. It automatically backs up your photos when you are connected to wifi. 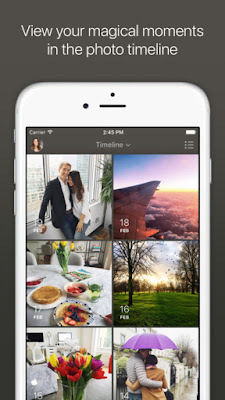 Through it, you can also create albums, collages, animations, and movies. Their search system is also pretty impressive. You can search by person, place, or thing. Their system actually recognizes faces and puts them together in specified albums. It’s not perfect, but still impressive. You can also easily access the photos online via your desktop, from which you can back up even more photos. You all probably know how important photos are to me, first, you ought to be printing them, don’t let them just live on your phone or on your computer, but backing them up is so important and can prevent so much heartache. 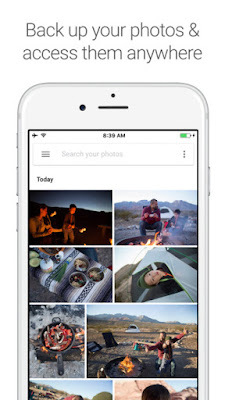 You never know when an accident could happen, a lost or damaged phone, resulting in lost files. Back them up! And thankfully, with this app, you don’t even have to think about it, it just does it for you! This app is worth every penny. Again, it’s not exactly a productivity app, but this is easily one my favorite apps. I've talked about it so many times, but I think everyone should be using it! 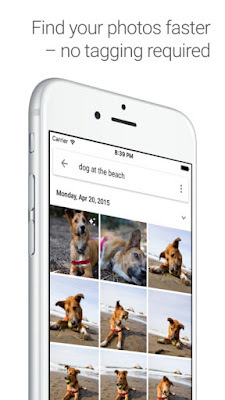 It allows you to input 1 second of video footage each day, easily compiled into a fun video of the month or year. You can also use photos instead if you didn't take video for that day, but video captures something so different that (and I can't believe I am admitting this) I am almost starting to prefer video. You can also make a compilation of clips of a trip, or event. I am in my second year now, and could see myself using this app for years and years to come. If you use any of these apps, let me know! If you don't, I hope you check them out and let me know what you think! What are some apps that you feel like you can't live without?